We live. But we’ll all die. Every single one of us. Death is the ultimate statistic: 10 out of 10 will die. To ignore it, to “not think about it”, is a denial of the obvious. Not thinking about it won’t make it go away. WHAT HOPE IS THERE? Well, there is some… keep reading! A wise person prepares for death. Yes, there are wishes to be made known. Having an up-to-date will is a good thing. 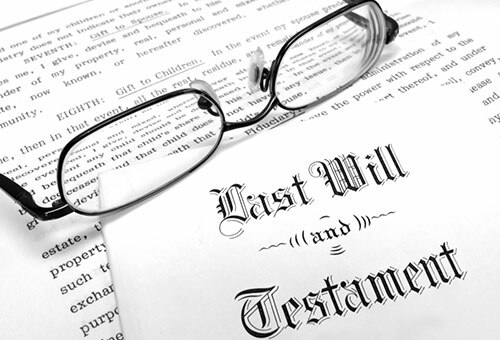 Listing your financial accounts and policies, etc., for your children to find is certainly helpful and appreciated after you’re gone. But that’s not all. What about your soul? Where will you spend eternity??? Jesus talked about both heaven and hell. Why? Because both are real. Jesus spoke about hell because He loved enough to warn of a real possibility. And when He spoke about heaven, He was clear in stating that not everyone goes there. You see, He knew that we all have a problem — a really big problem. In fact, whether you recognize it or not, it’s your biggest problem. What is it? First, let’s step back for a minute, and look at the big picture. The really big picture. God created everything. He is the maker of all. And He made man in His image — not that we “look like God”, but that we are creatures that have a soul (or spirit) that will live forever. Even though they lived in a perfect world, Adam and Eve sinned. They did that which God had commanded them not to do. 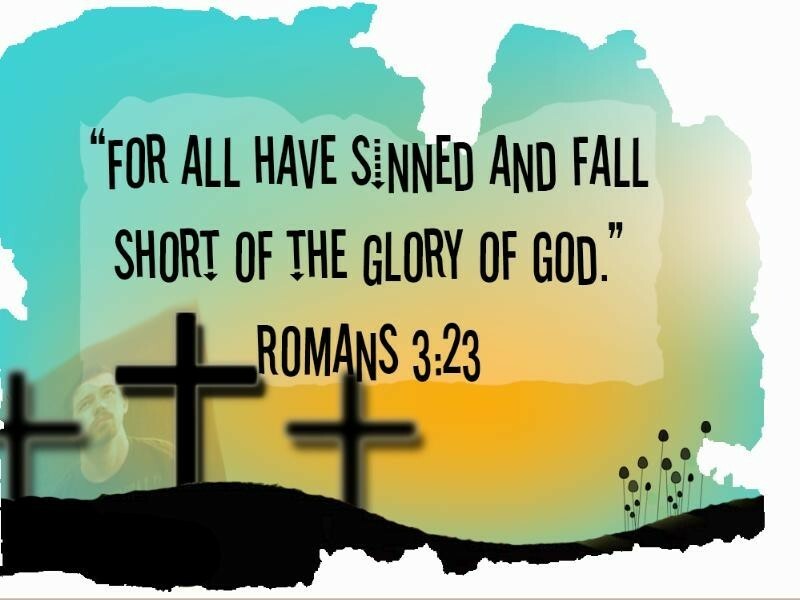 As a result, the human race “fell” — we are all infected by this rebellion called “sin”. Oh, we don’t sin as much as we could — we may not sin as much as the next guy — but we still sin. And that’s our biggest problem, because sin separates us from God, who is perfectly holy. 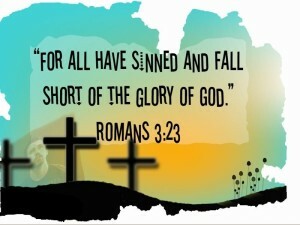 Romans 3:23 tells us that “all have sinned and fall short of the glory of God”. Romans 3:12 confirms it — “there is none that does good, there is not even one”. You might be a “good” person by human standards, but by God’s perfect standards, we all fall far short. Left to ourselves, in our sinful state, we wouldn’t be fit for heaven. Without the forgiveness of all our sins, our destiny would indeed be an eternal hell. The Bible is painfully clear on that! And that’s the bad news that we must understand, so that the good news will make sense. God knew about our great need, of course. In fact, He planned for this from eternity past. A great plan was set in motion, the plan of redemption. We could never save ourselves. But God made a way! He sent His only begotten Son, the Lord Jesus Christ, into the world. The Old Testament foretold of this event, over and over. Finally, about 2000 years ago, the events began to unfold. A virgin named Mary became “with Child”, by the Holy Spirit. Around 9 months later, Jesus was born. Later on, the Bible tells us that God blessed Joseph and Mary with at least 6 other children as well (via the normal means of procreation), but none of them were like Jesus, because He was without sin. Imagine raising a sinless child! We don’t have to teach our kids how to misbehave, or get into trouble — that’s built into them — it’s built into all of us. 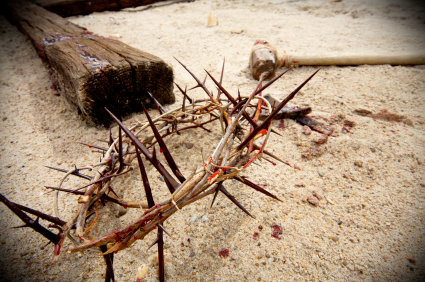 Around the age of 30, Jesus of Nazareth would set aside His carpentry work and become an itinerant preacher. He healed countless thousands of all types of disease. On a few occasions, He even raised the dead! He taught with authority, and had the audacity to contradict the religious leaders of His day. Eventually, those enraged religious leaders would arrange to have Jesus crucified on a Roman cross, an excruciating and ignoble death. The one and only sinless man, who didn’t deserve this, would die. Why? On the third day, Jesus rose bodily from the grave. 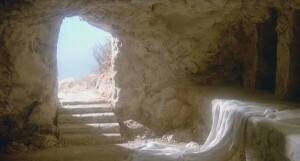 The promise of resurrection was true! He visited a number of His followers over the next 40 days, before He ascended into heaven. SO… what does that mean for us? 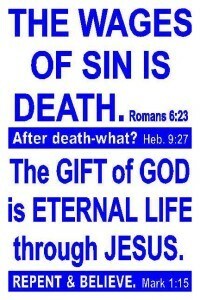 What must we do in order to have forgiveness of our sins and inherit eternal life??? 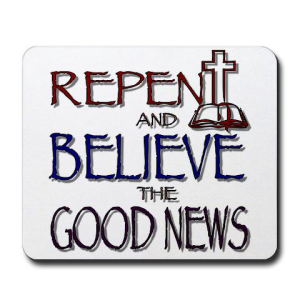 Jesus said (in Mark 1:15) that we must do two things: 1) repent, and 2) believe. What does that mean? First, we need to “change our minds” about sin. We need to see it for what it is — an offense against a holy God — and that we have participated by sinning. We need to realize we’re not good enough, and not worthy of heaven. 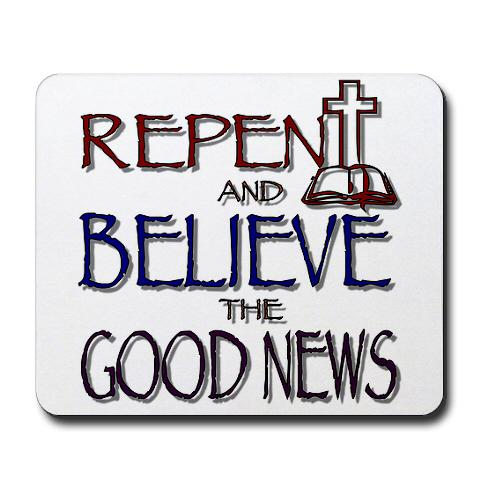 To repent also includes the idea of turning away from sin and heading in other direction. 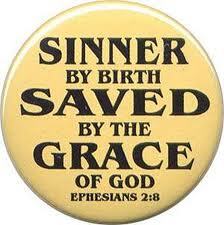 Second, as we turn from sin, we turn to Jesus Christ. We believe what the Bible says about Him, and we trust Him alone for our salvation, believing that His work was good enough to get us to heaven. 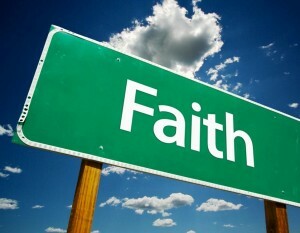 We have faith in Jesus, and what He did, for the forgiveness of our sins. He is the only Savior. 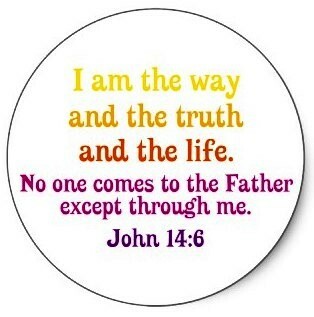 His way is the only way to heaven. We can go to the Father only through the Son. We can’t make our own way, or take another road. Crossing our fingers and hoping we’re good enough or that we “tried our best” will be met with eternal remorse on the day of judgment. We must turn to Christ alone, by faith alone, and receive God’s saving grace. If you could earn your way, you’d have something to brag about. But no one can, no matter how hard they try. The person who is going to heaven knows that it is only by faith in the person and work of Jesus Christ that he can be forgiven. We urge you — today — turn from sin and trust in the Lord Jesus Christ, for the salvation of your soul. Follow Him. Read His Word. Call to Him in prayer. Be a part of a conservative church that believes the whole Bible, and preaches the Bible. God’s promises are true — He will save the person who comes to Him in repentance and faith! Take the 3-minute challenge. 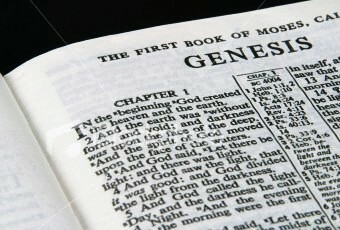 Maybe you’re not a Bible-reader, but it is a Book that deserves to be read! Everyone has heard of the wonderful verse of John 3:16 — but read it in its context. The 3-minute challenge is to go read the whole 3rd chapter of the Gospel of John (the 4th book in the New Testament). 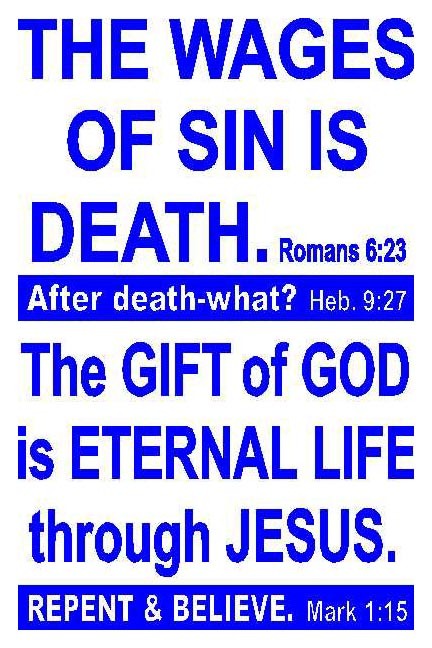 See what it says both before and after John 3:16. Then, if you dare, go back and read the entire gospel of John, all 21 chapters. The Word of God is powerful; ask the Lord to help you understand. When you’re done with John, go read the other gospels: Matthew, Mark, and Luke. They all tell of the saving power of the Lord Jesus Christ! And if God does a wondrous work in your heart and gives to you repentance and saving faith, keep reading — the whole Bible deserves our close and careful and repeated attention, for all of it is God’s Holy, inspired, inerrant, authoritative, and sufficient Word to mankind. You’ll be blessed! Wasted Faith – is your faith real? is it a faith that saves? or might you have a false assurance of salvation?